Why can’t I click on some of the Treasurer links? Some Treasurer links require backend access. If you are your club’s Treasurer and can’t click on every link, please email us and we’ll get you set up with access. 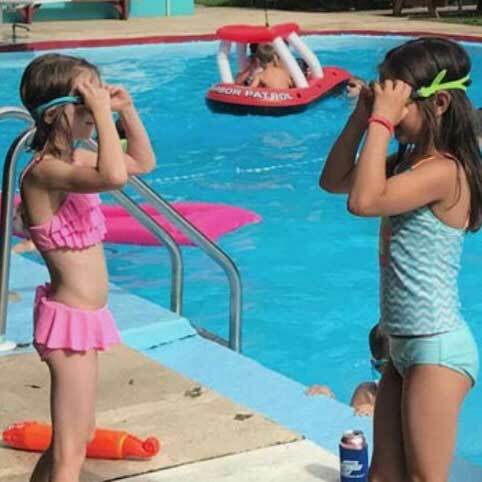 The reason we restrict access is so multiple board members could be assigned the Treasurer role to create new products like social events, swim team swag, but they would not have access to the most important club products (memberships, initiation fees, etc). How do I create a Manual Payment if someone pays by check? 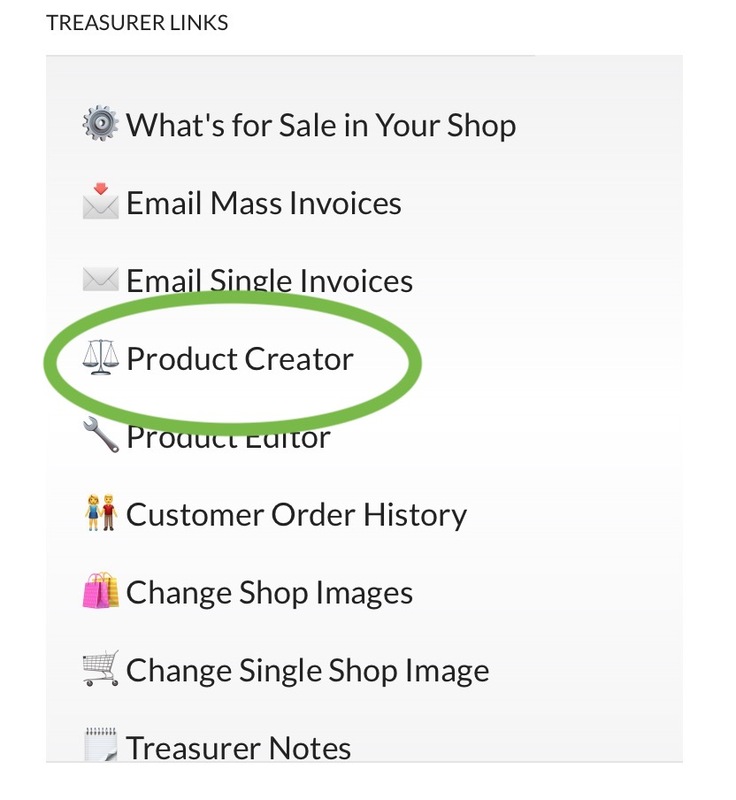 Then find the product you want to create a payment for…. You can choose to enter the amount or set it to $0.00. 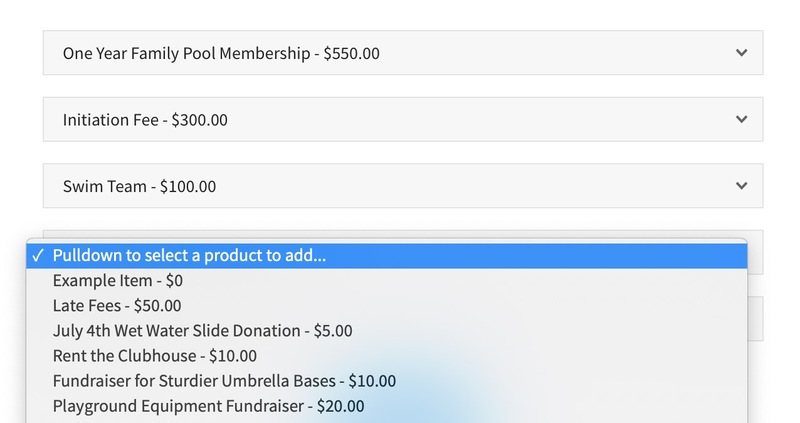 If you would like your Pool Dues reports to match what was received through Paypal, then set it to $0.00 (as this money was paid by check). 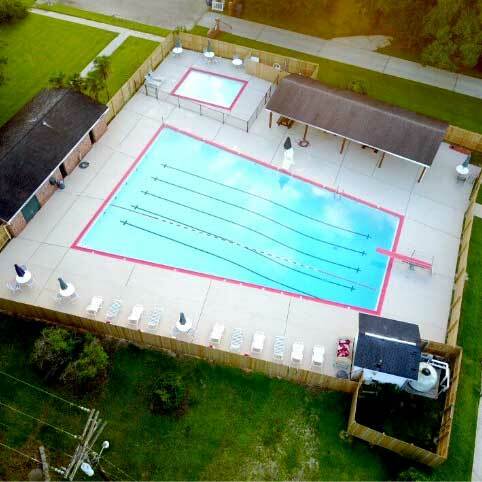 If you would like your Pool Dues reports to match what was actually received by the club that year, set the price above. Next add an existing customer or create a new one. 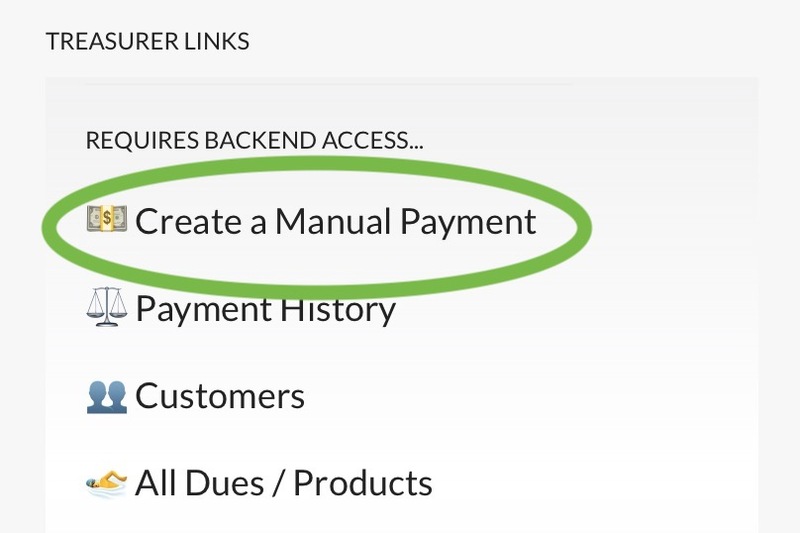 If this is a customer that has paid before by check and you have previously set up a Manual payment, you should be able to find them in the selection pulldown. If not, just enter their name and email address to create a new customer. All other options on this page can stay as is. When ready you can choose to send the purchase receipt to the buyer or not. If this is an older customer that might be confused by the receipt and interpret it as they were just charged, then toggle this off. For everyone else, this is a good way of telling them you received their check and their membership was processed. 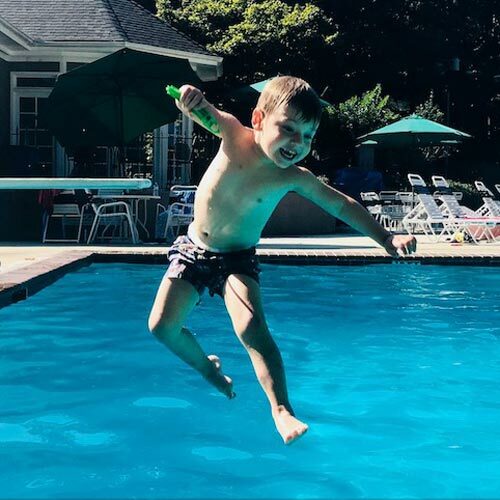 How do I invoice all outstanding memberships with Pool Dues? We consider these smart invoices because we won’t pester members to pay if they don’t need to pay. So for anyone signed up with a Recurring payment plan OR that has already paid for the current year, they won’t be invoiced. In Step 1, you will choose who to invoice. 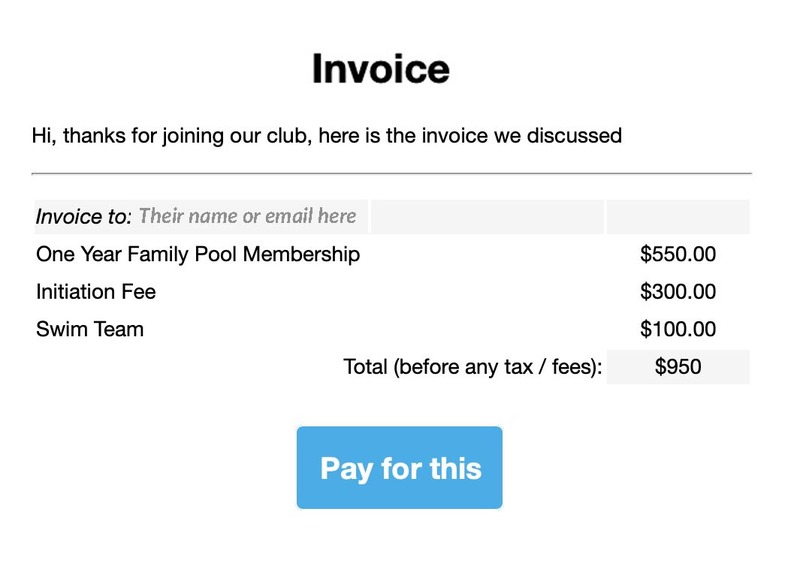 For clubs in their second or subsequent years using Pool Dues, choose the first option as this will more accurately generate an invoice based on their past membership purchase. For clubs in their first year, we will have imported your membership emails, so we don’t have any actual buying history on them. We send them an invoice for the Family Membership, and instruct them to make any changes through the site if the invoice is inaccurate. 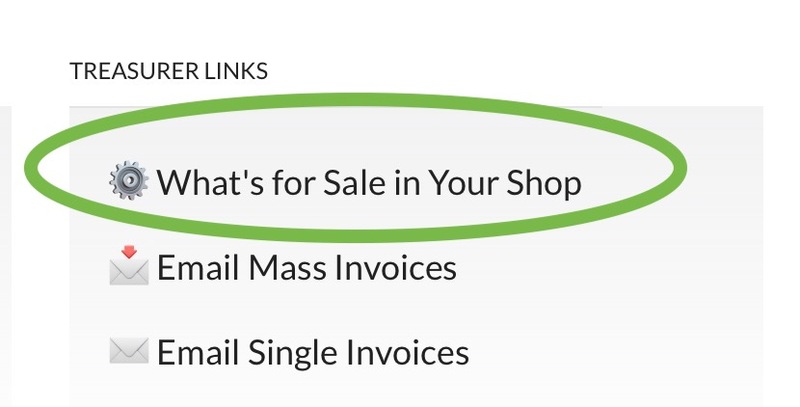 In Step 2, you will cast a wide net of members you want to invoice. Most likely you want to invoice every member that will have an expired membership by Sept 1 of the current year. In other words, everyone that paid for last year’s pool season would get emailed. 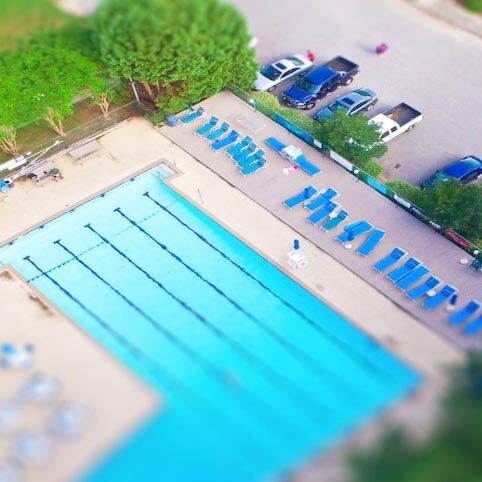 If someone paid, in the Fall of the previous year, you should not invoice them for the upcoming pool season (as they weren’t a member during the last pool season). 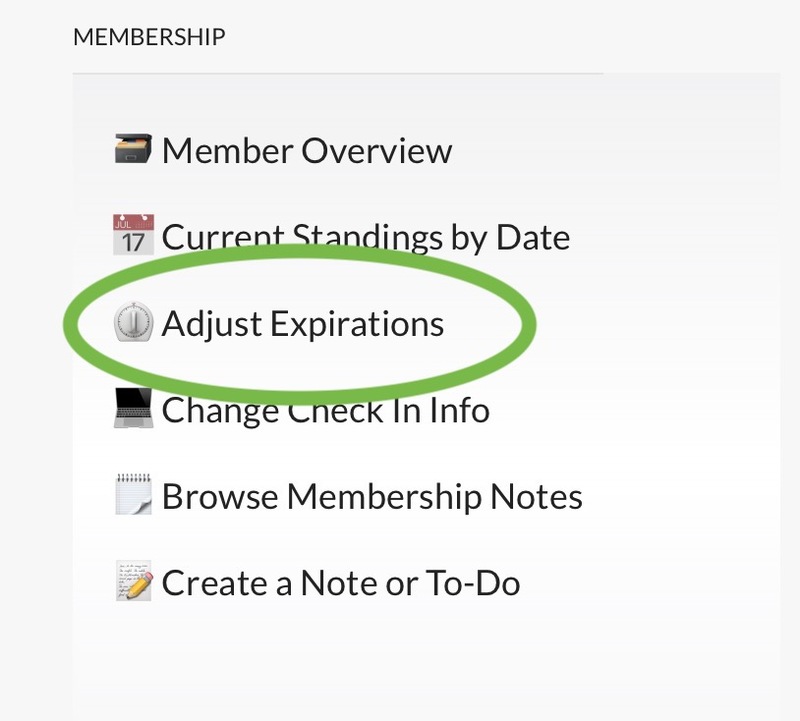 In Step 3, you have the option to remind them about switching to a Recurring membership, a custom Subject line for the invoice, a custom Message in the invoice, and a simple security check to inspire buyer confidence (a sentence about the club only a member would know). 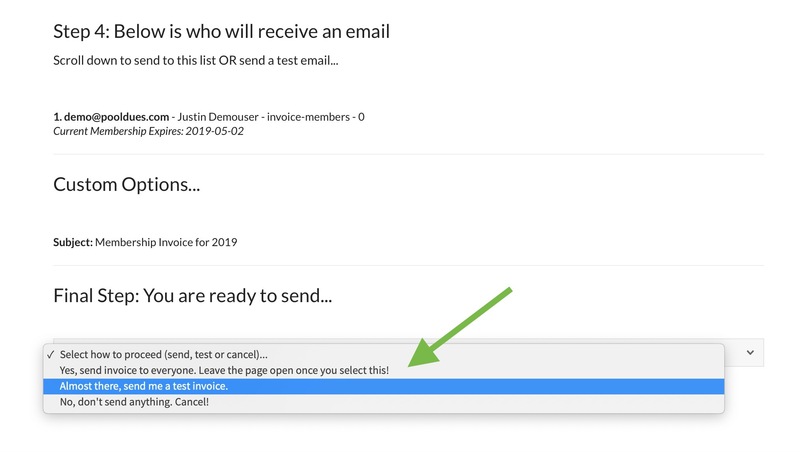 In Step 4, you will see the entire list of emails that will get sent. As well as your custom options from the previous step. Then most importantly, the option to either send the invoice to everyone OR send yourself a test invoice. 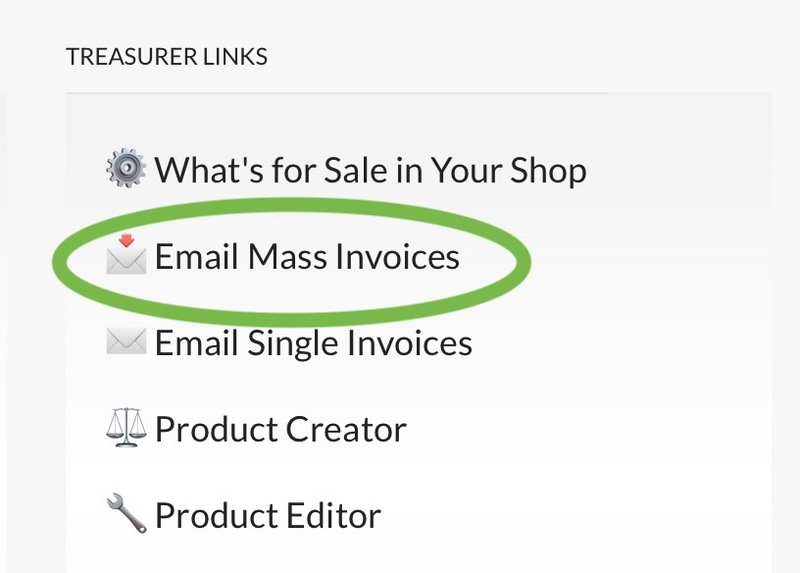 If you send a test invoice the page will automatically reload after sending an email to you. If you send the invoice to everyone leave the page open until it reloads itself. If you want to go back and fix anything, the site will remember any custom subject lines or messages you wrote on Step 3. We recommend sending invoices every 2 weeks starting February 1. How do I custom invoice a single member or list of member emails? Don’t forget, we recommend the “smart” mass invoice option for getting your entire membership paid for the upcoming season. 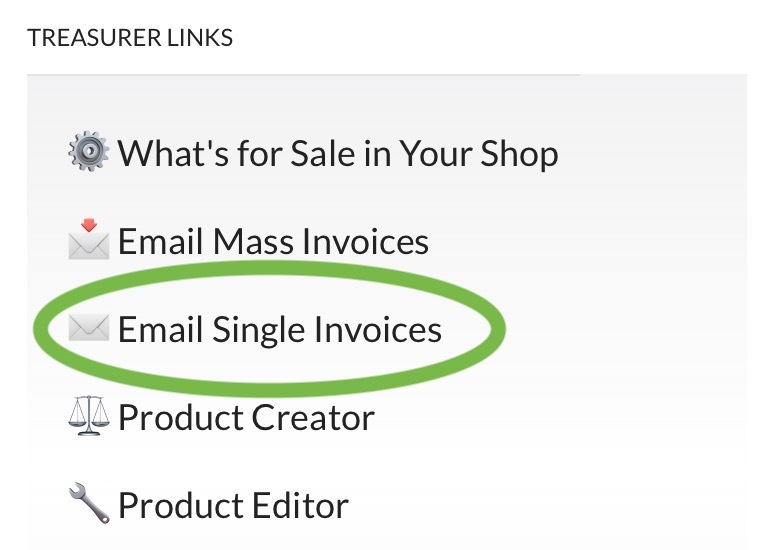 The single, customized invoice option is helpful if you want to email a person (or group) with multiple products. 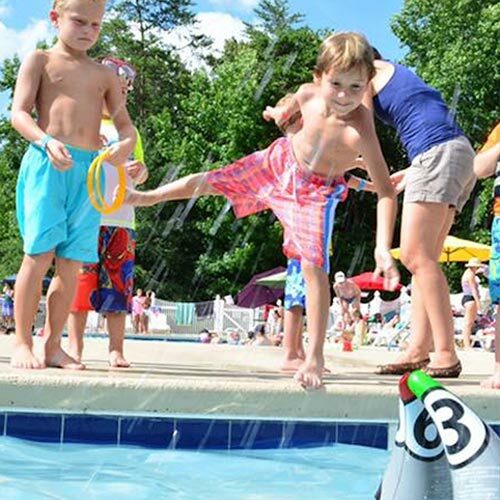 For example, you could send an invoice with the Family Membership and Initiation Fee. Or you could send an invoice with the Family Membership and Late Fees (in that case, the Late Fees would be a separate product you setup). 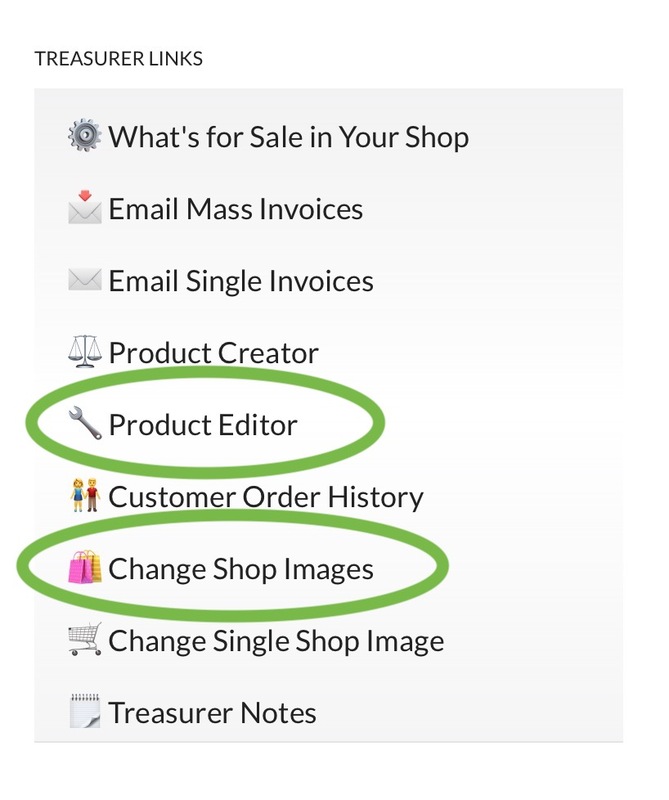 In this image from Step 1, you can see we have selected three products to add to the invoice (and browsing a potential fourth)…. On the next step, comma separate the emails you want to send to. Or just write a single address. 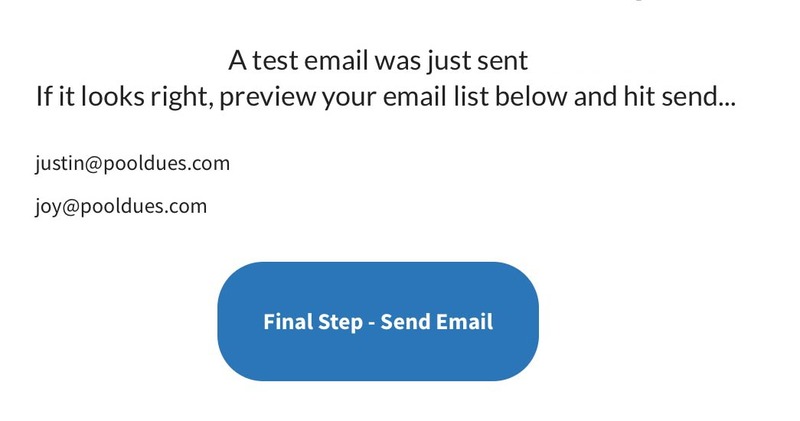 On the final step, you will have already gotten a test email sent to yourself. Check your inbox, and if everything looks right, you are ready to send to the list or individual. The actual email invoice will look similar to the image below. If we can match their email to a name in our database we will add that to the invoice automatically. 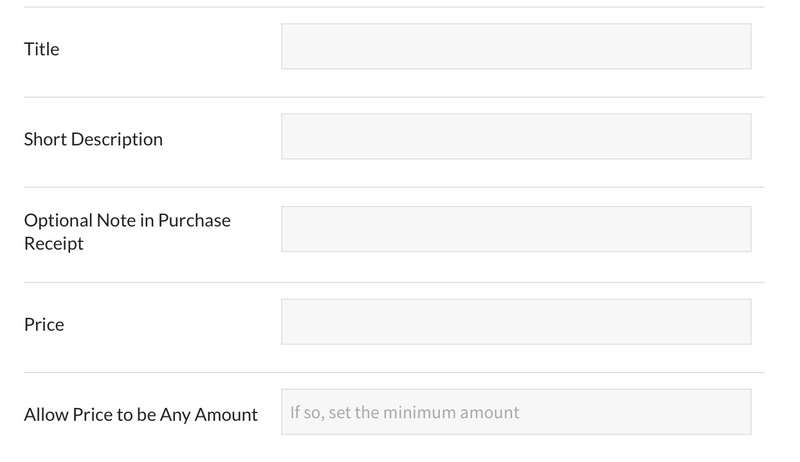 The Payment button will send them directly to the checkout page with the items added to their cart. Once paid, the payment / customer information is logged in various places in the backend. You do NOT need to manually log any information after a customer has paid. Just let the system do it’s thing. How do I stop Invoicing members if they moved away? 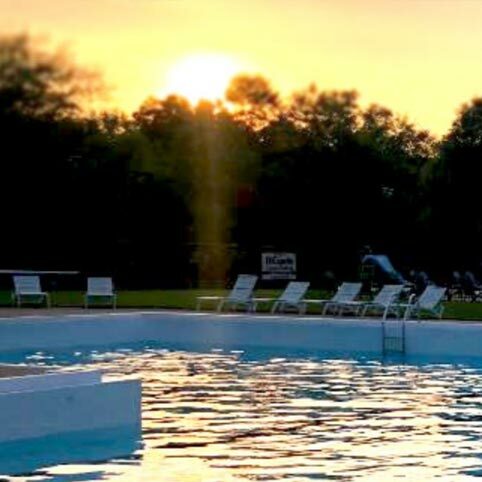 When you send a mass email invoice through Pool Dues you will typically send to all members that will have expired memberships by the end of Summer. So for example, you might choose to email everyone that hasn’t paid through Sept 1 of the current year. Under the hood, we are also restricting emails to members that have had an active membership in the last 450 days (about a year and 3 months). Then adjust their expiration back in time (2 years, 10 years, whenever). This won’t affect their original order date, so it is a safe way to ignore them for future invoicing while leaving the payment information alone for accounting purposes. Fun fact: Our invoicing system will never email someone that has a Recurring Payment profile OR a member that has already paid for the current year. How do I create new items in my store? Short Description – briefly describe the product. This appears within the toggle area below the title of the product. Optional Note in Purchase Receipt – this note appears in the email receipt that the purchaser receives. This could be something like “Now that you’ve paid, contact Kim for more details”. Price – the price. You do not need to add the $ sign. 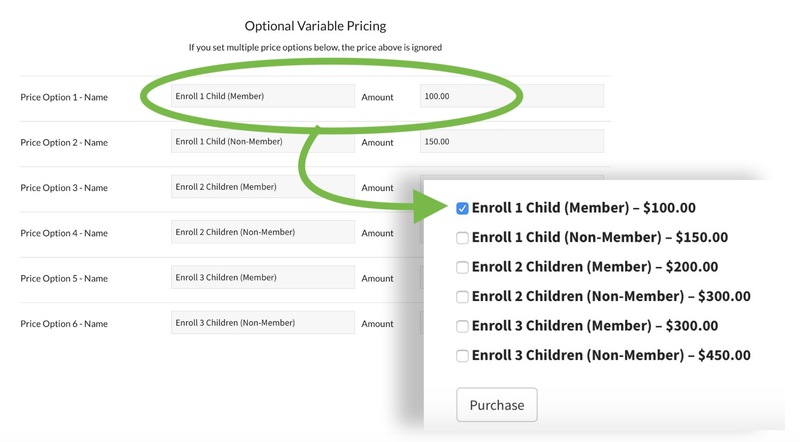 Allow Price to be Any Amount – you can allow members to set their own price, with a minimum you define. This is great for donation based products. How many items can I have in my store(s)? 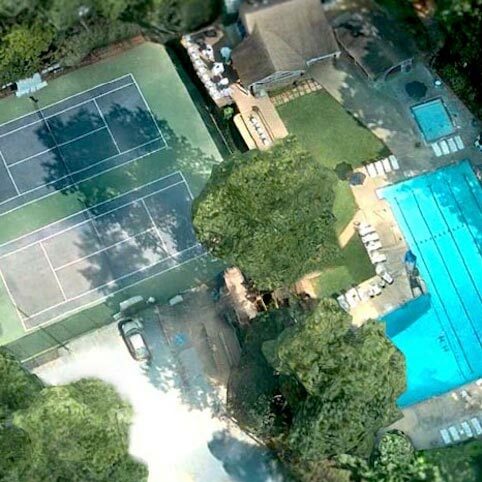 You can have a general club store, tennis store, and swim team store. Each store can have up to 44 products on display, but the actual number of products you can create is unlimited. You can pull down products you’ve already created and assign them to each slot. Throughout the year you might have multiple Family Night Dinners, so this makes it easy to replace different Dinner products at different times of year. In addition to the suggested product slots seen above, there are lots of extra un-named product slots. In any given product slot you can put any of your products that you’ve created. Just pull down the menu and see a list of all the products you’ve created. How can I choose which products display on which store page? What are those numbers on the right-hand side of the screen in the Products for Your Shop page? 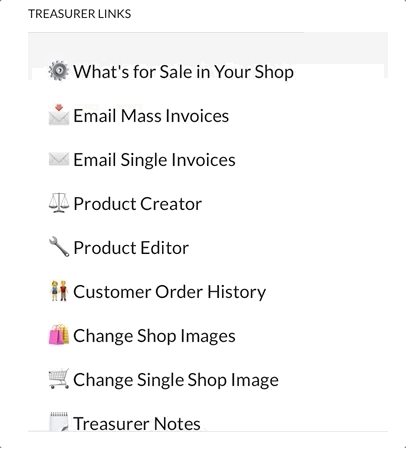 The numbers on the right-hand side of the screen allow you to easily order the products displayed in your shop. How can I change the image for a store item? The board member in your site’s Web Design role also has access to the Change Shop Images link. 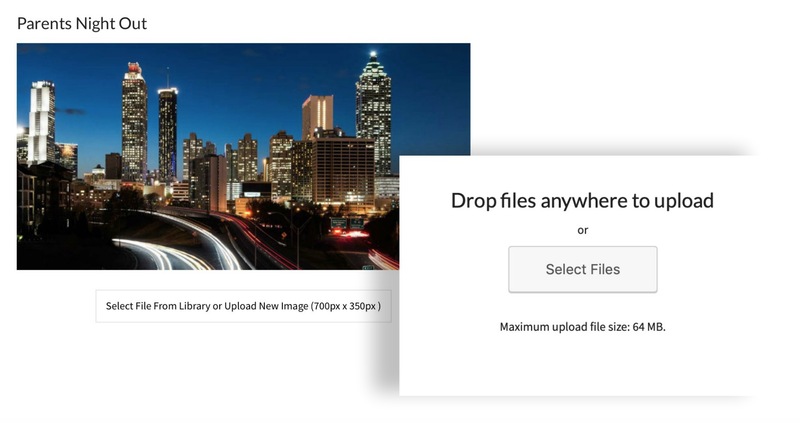 You can upload new images or select from the image library. We recommend 700 by 350 pixel images for your store. Who gets emailed confirmations when a product is purchased? When someone purchases anything from your site, they get a confirmation email from both PayPal and Pool Dues. Your club’s Treasurer also gets an email from both places. You can also set up the system to copy specific Board Members for specific items. 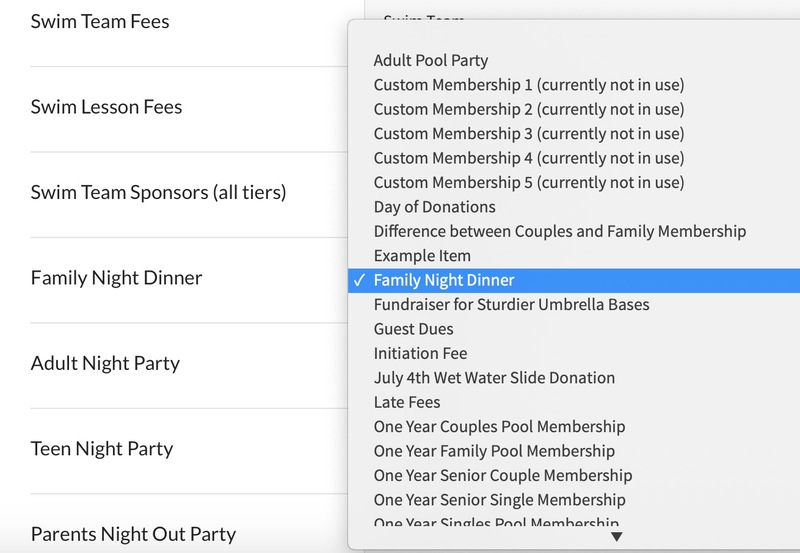 For example, the Social Director could be copied for all family dinner night tickets. You can add various prices for any product, for example Buy 2 tickets, Buy 3 tickets, and so on. Or, you could set age-related prices for something like a family dinner, for example, 1 Adult Dinner, 1 Kid dinner. What about PayPal fees for store items other than memberships? PayPal takes a 2.9% fee from you for each transaction. You can choose whether or not to pass on that fee to your members. For example, you may choose to not pass on that fee if people are giving a donation to the club – why add extra fees on when people are voluntarily donating to the club? On the other hand, if people are paying for a dinner event, maybe you do want to add on the PayPal fees since the club has to pay the food vendors. How can I keep my store page neat and uncluttered? Notice each product has an Unfold to Pay toggle. Your product’s description and payment options appears within here. Your Treasurer can login to the backend and choose from various export options to CSV. (CSV files can be imported into Excel, Numbers, etc.) You can export all sales or only particular dues, and you can filter by Start and End Date.